A good cigar is a good thing, but a good cigar line in a dark and oily Maduro wrapper is a great thing. The world is full of cigars that are mellow, light, using creamy wrappers like the Connecticut shade wrapper that is so popular these days, but a good dark cigar, a good Maduro, is a rarer thing, and one that should be enjoyed. Sure, not everyone likes them, which may be why they are generally so much rare to find in your local cigar shop or your favorite online cigar vendor, but the truth is that they seem to be so much flavorful. And so it is with the Serie R Esteli Maduro line. 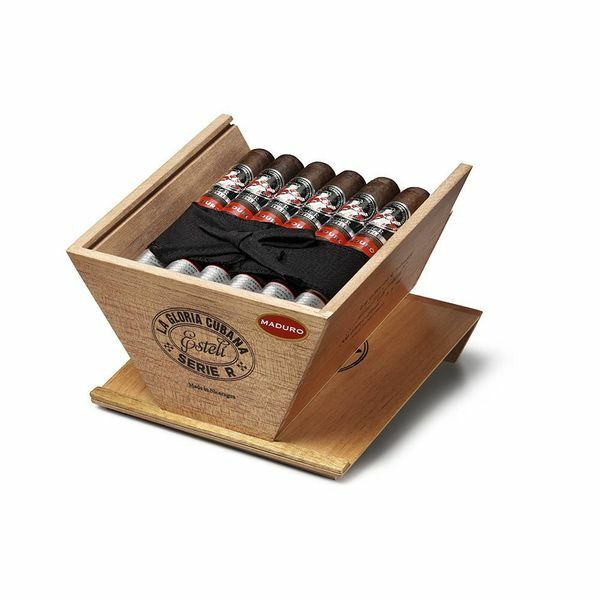 A fantastic line of cigars, with a few great Maduro entries, and even better for those who favor the Nicaraguan tobacco, they’re a Nica Puro cigar, one made entirely in Nicaragua for your enjoyment. What makes this cigar so tasty? Well, it begins with a beautiful Maduro wrapper grown in Nicaragua, coming from Esteli or Jalapa, into which is placed tobacco from the same places, which has been aged a few years extra, which mellows out the cigar and gives it a smoother and more consistent flavor. This produces a cigar that is not just flavorful and dark, with earthy notes, notes of espresso, and even a hint of spice, but a complex one, one that you will enjoy decrypting over and over again.